The offer below for the Aiphone intercom has expired. Please call us for any quotes on Aiphone intercoms. Our prices and our a service are exceptional. We’re happy to provide free quotes and advice and let you make up your mind. Also check-out Aiphone Intercoms Brisbane. And see our Intercoms page. Call Dallas and Luke for the best advice and the best prices for Aiphone intercoms. 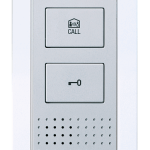 Right now we have this Airphone Video Intercom system on special for just $1,100 ex-GST. 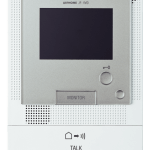 Airphone are an industry leader for intercoms and are used and recommended by TES as a reliable system for home and office security. The price quoted ($1,100) includes installation. This special won’t last long. This is an opportunity to get a video intercom professionally installed at a price you’ll never regret. Contact TES to arrange installation. Price: $1,100 ex GST installed.